Maine lobster has a distinct, succulent taste that is somewhat sweet, with a firm texture. Its meat is extremely low in sugars and carbohydrates. 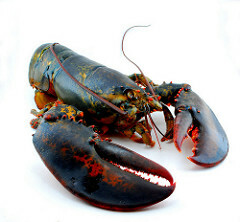 Maine lobster, when caught in certain areas/using certain equipment, have earned the OceanWise rating from the Vancouver Aquarium.